After five decadess on the road, John Payne still enjoys getting behind the wheel, carting bulk products. 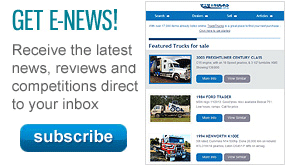 John Payne enjoys taking his restored trucks to events. 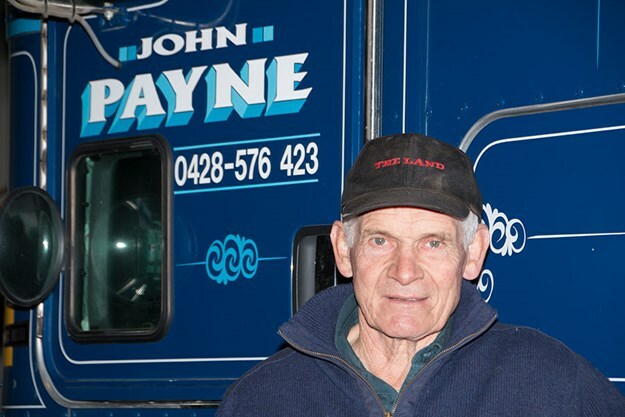 Owner-driver John Payne has been trucking since the 1960s. The 70-year-old still works hard with his bulk transport business and also runs a sandpit and beef farm. 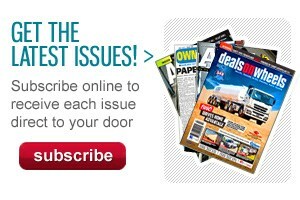 John lives in Mulwala, New South Wales – near the Victorian border. He was 14 when he started driving a dump truck and dozer with his father, Brud Payne, at a Myrtleford quarry. He is proud to name Les Stewart of Mulwala and Hec and Pod Francis of Corowa Trading among his first employers. His uncle John Flanagan helped him find work at East Coast Transport and for the next three years John travelled overnight to Sydney, Melbourne, Brisbane and Adelaide in an ERF. The British truck didn’t have a sleeper, but this didn’t matter, says John, because he didn’t do much sleeping back then. At age 70, John Payne still enjoys driving his Kenworth K200. Highway life was exciting. But John wanted to spend more time with his family, so he started a local business specialising in earthmoving, sand and gravel at Mulwala. In the early days he enjoyed working with his brothers. He remembers when owner-drivers would "all pool in together and do the job and help one another out". Business was thriving in the 1990s. John has downsized since then. Today he concentrates on carting bulk transport with his Kenworth K200 quad dog. He fills his Hercules tippers with sand, gravel, fertilizer, lime, gypsum and grain for delivery throughout North East Victoria and the Riverina, NSW. He also collects fertiliser from Geelong. 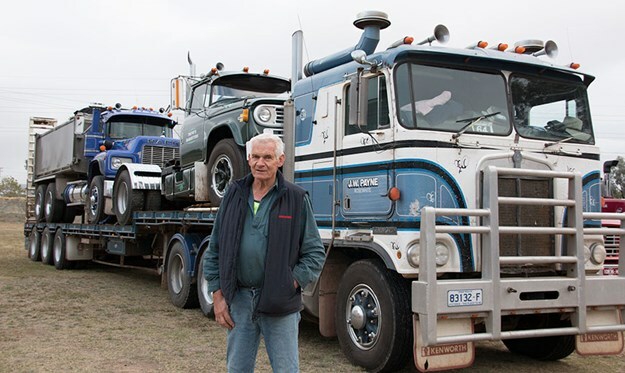 His back-up truck is a Kenworth K125 which is usually driven by his part-time driver, Nan Carrow. Crawlin’ the Hume 2018: John Payne with his Kenworth K125, D Line International and R Model Mack. John loves taking his D-Line International, International R180 and R Model Mack to truck shows. It’s a great way to relive the camaraderie of the old days. 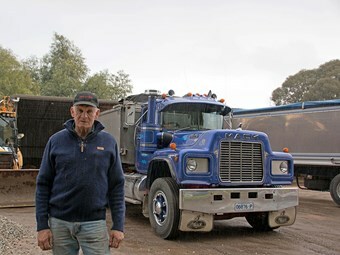 He also uses a trusty old 1986 F Model Mack at his Myrtleford farm. "It’s bullet proof. The things I’ve done with the poor old thing!" Read the full story in the August 2018 issue of Owner//Driver.